Taking chocolate milk away from schoolkids may seem like a sensible way to make them healthier, but a recent study believes it may not be the best idea. Researchers from the University of Saskatchewan's College of Pharmacy and Nutrition found that a number of children will not drink any milk if chocolate milk is taken away from them. The study examined milk intake by children in grades one through eight in six Saskatchewan schools over 12 weeks. Students were given the choice of drinking plain or chocolate milk for the first four and the last four weeks of the study. They were only given plain milk in the middle four weeks. Researchers found that total milk consumption dropped by 48 per cent when chocolate milk was removed as an option. It also found that 41 per cent fewer students chose to drink milk when they weren't able to have chocolate milk. Nutrient modelling also hinted at a drop in kids' calcium, protein and vitamin D intakes when they couldn't have chocolate milk. "Sufficient amounts of calcium and vitamin D are required during childhood and adolescence because a significant amount of adult bone mass is accrued during this time," the study noted. "Milk is a good source of both these nutrients." Researcher Hassan Vatanparast, an associate professor at the school, told CBC News that taking chocolate milk away could have unforeseen repercussions and that chocolate milk is not as bad as other sugar-filled drinks. 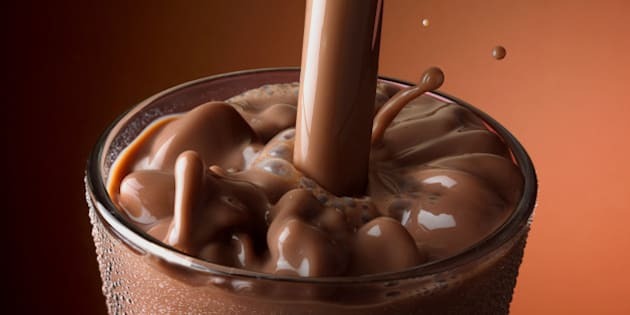 The study came months after legislators in Connecticut voted to ban chocolate milk from school lunchrooms, NBC News reported. Vatanparast said he carried out this study to urge schools not to remove chocolate milk as an option, though he did say it could be served with less sugar, The Ottawa Citizen reported. But other studies have also questioned milk's health benefits overall. A study published in the British Medical Journal last year found that women drinking three glasses or more of milk per day had a higher risk of dying or developing cardiovascular problems, CBS News reported. Men, meanwhile, saw their risk of dying jump by around 10 per cent if they drank three or more glasses of milk every day.